May 2013 – what will you do now? 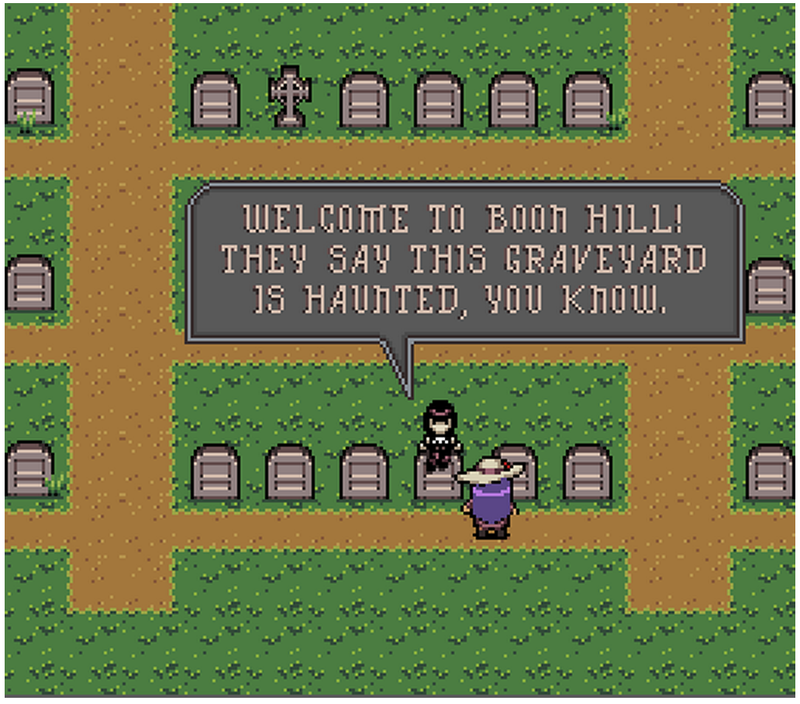 Boon Hill is a successful-but-still-in-progress Kickstarter for a project in which the player/reader explores a graveyard full of epitaphs. It’s an invitation to create your own meaning out of scraps of evidence, conceptually a little reminiscent of 18 Cadence. Conversations With My Mother is a Twine piece by Merritt Kopas, in which you can click on the text to swap one piece of text for another before proceeding. It’s powerful and very brief to experience, and it does some things with Twine that go beyond typical formal features of choice-based narrative. Worth a look. Pipe Trouble is one of those pipe-laying puzzle games… except that it’s also about the politics of gas pipelines in Canada. Connect the pipes in the wrong way and you’ll annoy farmers, cause spills, or irritate environmental protesters. And it has text by Jim Munroe.